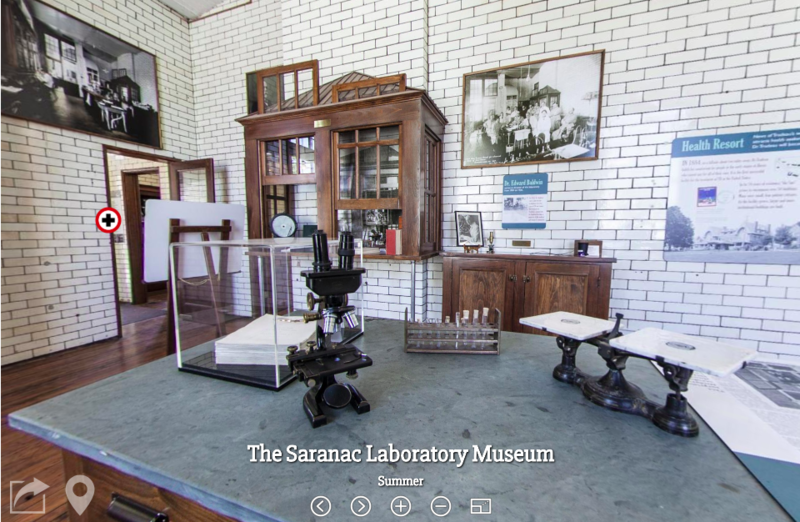 Tour the main laboratory space to find out about Saranac Lake's unique history as a world-wide center for TB research and patient care, and listen to an audio tour. View a variety of short films on TB and local history. See our events page for a complete schedule of events and tours. We have a limited number of parking spaces behind the Museum. On-street parking is available on Church Street and Main Street, and there are several free municipal lots in downtown Saranac Lake. Take a virtual tour with Adirondacks, USA! 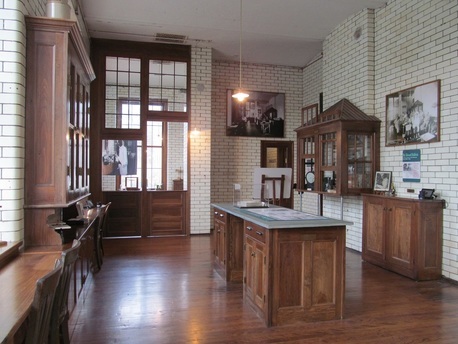 Restoring the Saranac Laboratory and opening the building as a museum interpreting Saranac Lake's unique role in history as a world-famous center for the fresh air treatment of tuberculosis. Preserving the Bartók Cabin, with tours provided upon request. Advocating for the preservation of Saranac Lake’s unique architecture. HSL has nominated and listed over 230 resources to the National Register of Historic Places. HSL Partnered on and administered the Union Depot preservation project. Caring for our museum collection of artifacts, photos and documents pertaining to Saranac Lake's history as a center for science and patient care. Publishing books and pamphlets such as Cure Cottages of Saranac Lake by Phil Gallos, our Downtown Walking Tour brochure, and A Rare Romance in Medicine by Mary Hotaling. Sponsoring educational activities such as a summer music series, walking tours, presentations for student groups, lectures, history days, and oral history projects. Hosting temporary exhibits in the John Black Room library. Maintaining the HSL Wiki site, an innovative online encyclopedia of over 6,000 pages of local history. Leading a growing Oral History Project and the Cure Porch on Wheels. ​​​Find out more about all of our current projects!